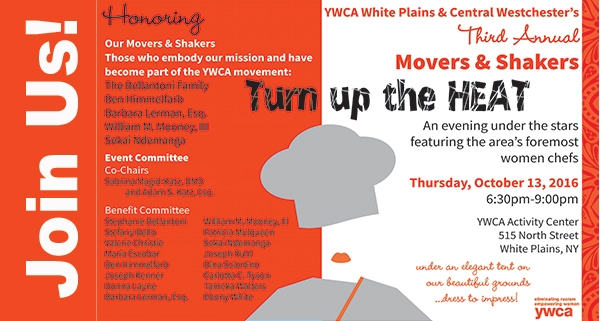 The most talented women in Westchester’s food industry will Turn Up the Heat at the YWCA White Plains & Central Westchester’s by-the-bite fundraiser on Thursday, Oct. 13 where they’ll honor the movers and shakers who embody the YWCA’s mission of empowering women and eliminating racism. The most talented female chefs, bakers and mixologists such as Leslie Lampert and James Beard Award winner Guadalupe Hernandez will come together on Thursday to help end these disparities. Im supportive of the organization, Im supportive to have a platform so that women chefs and women restaurant owners can have more visibility, said Lampert, whose award-winning restaurants have gained national attention including a spot on Oprah. Jackie Rubbo of Yonkers Brewing Co.
Leslie Lampert of Love Hospitality? Angela Marjanovic of Strudel Z?